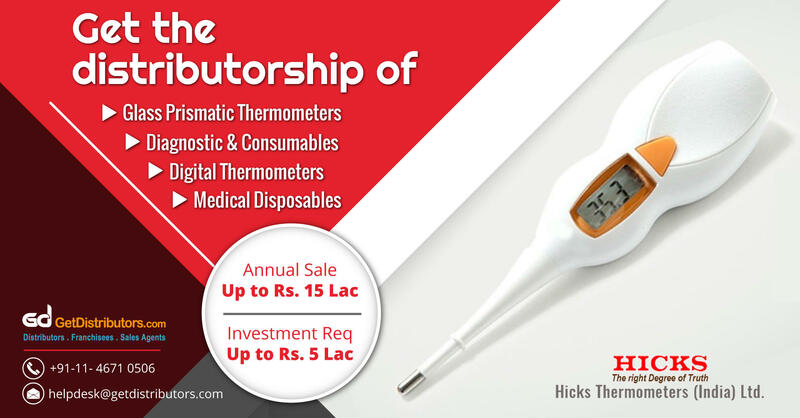 We, Hicks Thermometers(India) Ltd., are a dedicated organization manufacturing and supplying thermometers. The extensive range of products includes medical equipments such as Digital Thermometers, Glass Prismatic Thermometers, Medical Disposables and much more. We are in the need of coming into association with City Specific Distributors who could aid us in our diversification plans across India. Please note that the above mentioned list of products offered is not exhaustive.